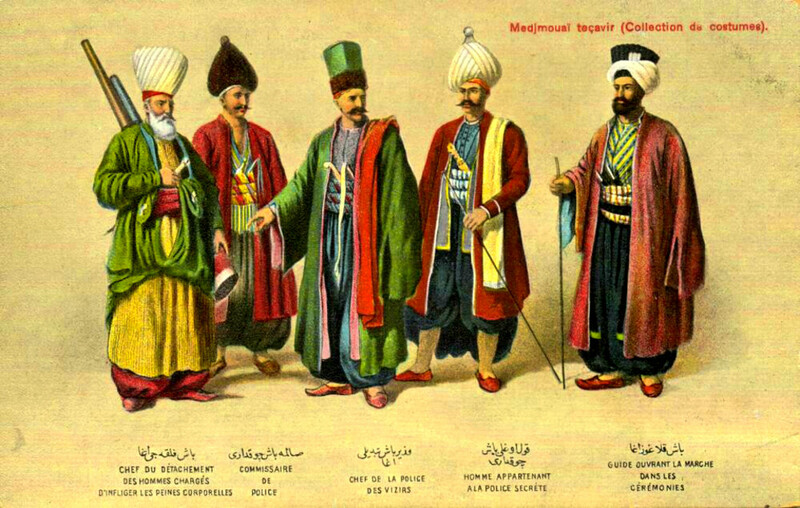 I'm researching the clothing of 16th-century Ottoman clothing, and I keep getting Potur and Şalvar as "trousers." Was there a difference between them or were the words synonymous? Sirwal, also saroual,1 seroual, sarouel or serouel3 (Arabic: سِرْوَال‎ (sirwāl); Persian: شلوار‎ (šalvâr); Kurdish: شه‌واڵ‎ (shawal); Urdu: شلوار‎ (shalwâr); Turkish: şalvar; Kazakh: шалбар (şalbar); Bengali: সালোয়ার (shalwar)), also known as punjabi pants and, in some contexts, as (a subtype of) Harem pants, are a form of baggy trousers predating the Christian era. 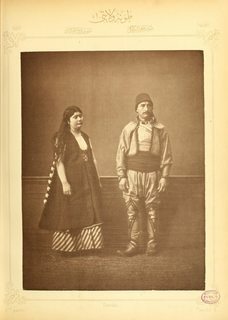 While a potur (Ottoman پوتور) was mainly in the Ottoman Empire a Slav converted to Islam, who still preferred to wear his peasant white linen trousers (in contrast to the usual Ottoman trousers). The name Potur was usually used by simple farmers or settlers. 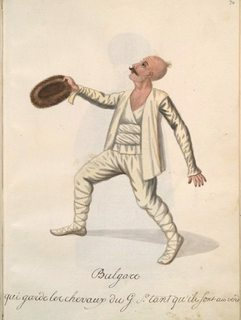 It comes from the Turkish and designates a slack pleated trousers (turkish potur; poturlu, someone wearing flaccid pants). Compare them to harem pants with a mixture of front pleat trousers when worn by men. But apparently both sexes could wear them in public without issue. According to a Turkish dictionary, Potur are baggy above the knee and Şalvar are baggy all the way to the ankle. Not the answer you're looking for? 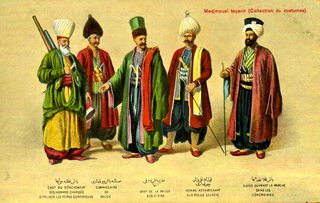 Browse other questions tagged ottoman-empire clothing turkey or ask your own question. Were there buttons in the Holy Land? What were the differences between the Sieges of Constantinople in 678, 717, and 1453, inc. Greek Fire? What information would be contained on an Ottoman Tapu deed in the 1830s?